Hēnare Tomoana, of Ngāti Kahungunu and Ngāti Te Whatu-i-āpiti, was born in the 1820s or early 1830s in Hawke's Bay. Little is known of his early life, except that he grew up during the conflict of the "musket wars". In 1851 he joined in selling large blocks of land to Donald McLean, the government land purchase commissioner. He remained an enthusiastic land-seller well into the 1860s, partly because he was often in debt. Tomoana supported the government during the wars of the 1860s, and joined the campaign against Te Kooti in 1868. He and his men served with distinction. Tomoana achieved the rank of captain of militia, and received a Sword of Honour from Queen Victoria. But he was not paid for his military service, and had to provide equipment for his own men. His debts grew, and he had to sell more land. Because Tomoana was unhappy about earlier land sales, he supported the Repudiation movement in the 1870s. This sought to cancel a large number of Hawke’s Bay land transactions which it claimed were dishonest. A commission of inquiry was appointed in 1873, but did not take any action. Instead it reported that it was acceptable to apply extreme pressure to Māori landowners who were heavily in debt. Disappointed, Tomoana then became fully committed to the Repudiation movement. Perhaps his greatest contribution was to support the newspaper Te Wananga, a bi-lingual mouthpiece of the movement. In 1879 Tomoana was elected to the House of Representatives as the member for Eastern Māori. He worked with Hōne Mohi Tāwhai (the member for Northern Maori) on the Native Committees Bill in 1881 and 1882. This aimed to cut back the power of the Native Land Court, and give Māori a chance to decide on land titles themselves. But the government watered down the Bill, and it proved ineffective when it was passed in 1883. 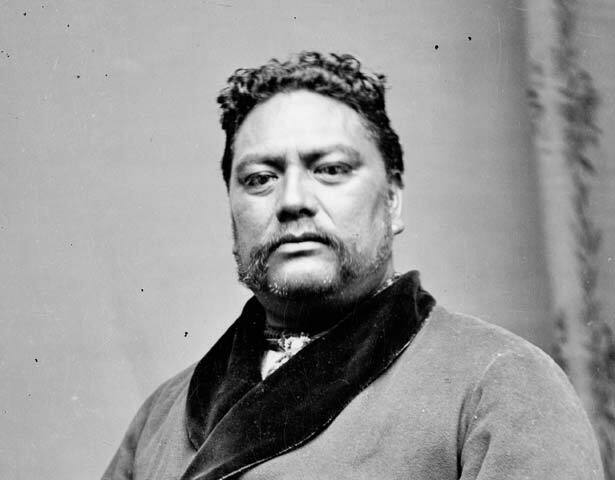 Tomoana was defeated and replaced in Parliament by Wī Pere in 1884. He then returned to Hawke's Bay, where he remained a stern critic of government Māori policy. In 1891 he told the Native Land Laws Commission (the Rees–Carroll Commission) that the settler-dominated Parliament had done great injustice to Māori, who should be able to make their own laws and administer their own lands. He later joined the Kotahitanga movement, whose aims were implementation of the Treaty of Waitangi, abolition of the land laws, and a degree of local autonomy through a Māori Parliament. Henare Tomoana died in 1904. I whānau mai a Hēnare Tomoana i te tekau tau atu i 1820, i te tōmuatanga o te tekau tau atu i 1830 rānei, ki Te Matau a Māui. Ko Ngāti Kahungunu rāua ko Ngāti Te Whatu-i-āpiti ōna iwi. Kāore i te mōhiotia ngā nekeneke o Tomoana i tana tamarikitanga, i tua atu i te mea i pakeke ia i te wā o ngā “pakanga mau pū” i waenganui i ngā iwi. I te tau 1851 ko ia tērā kei te hoko poraka whenua nui ki a Te Mākarini (Donald McLean), te kōmihana hoko whenua a te kāwanatanga. Ka hīkaka a Tomoana ki te hoko whenua, tae rawa ki te pokapū o te tekau tau atu i 1860, nā te nui pea o ana nama. Ka tautoko a Tomoana i te kāwanatanga i ngā riri o te tekau tau atu i 1860, ā, i te tau 1868 ko ia tērā kei roto i ngā pakanga ki a Te Kooti. Ka puta ngā kōrero mō tō rātou māia ko ana toa. Ka kake a Tomoana ki te tūranga o meiha i te rōpū hōia ā-iwi, ka whakawhiwhia a ia ki te hoari whakahōnore mai i a Kuini Wikitōria. Ko te mate kē, kāore ia i utua mō ana mahi hōia, i tua atu, nāna tonu i hoko ngā taputapu mō ana toa. Ka piki haere ana nama, ka mate ia ki te hoko whenua anō. Nā tana kawa ki ngā hokonga whenua tōmua, ka huri a Tomoana ki te tautoko i te rōpū Whakahētanga Hoko Whenua i te tekau tau atu in1870. Ka whai tēnei rōpū kia whakakāhoretia ngā hokonga whenua maha i Te Matau a Māui, i whakapae ai rātou he hokonga whānako. Ka whakatūria tētahi kōmihana hei rangahau i te take i te tau 1873, engari kāore he putanga. Ko te tohu kē a te kōmihana, e pai ana te āta tāmi i ngā Māori he nui ā rātou nama, e taea noatia ai te tango i ō rātou whenua. Ka paheke te wairua o Tomoana, ko tana ruku hōhonu tērā ki ngā kaupapa a te Whakahētanga Hoko Whenua. Ko tana mahinga nui rawa pea mō te rōpū, ko tana hāpai i te nūpepa Te Wānanga, he nūpepa reo rua. I te tau 1879 ka pōtitia a Tomoana hei Mema Pāremata Māori mō Te Tai Rāwhiti. I ngā tau 1881, 1882, mahi tahi ai rāua ko Hōne Mohi Tāwhai (Mema Māori mō Te Tai Tokerau) ki te hāpai i te Pire Whakamana i ngā Komiti Māori, e aru nei kia kotia te mana o te Kōti Whenua Māori, kia whakahokia ki te Māori te mana whiriwhiri taitara mō ō rātou whenua. Heoti, ka whakawaimehatia e te kāwanatanga te Pire, ā, i tōna whakamanatanga i te tau 1883 kāhore ōna kiko. Nō te pōti o 1884 ka hinga a Tomoana ki a Wī Pere. Ko tana hokinga tērā ki Te Matau a Māui. Ka rite tana whakahē i ngā kaupapa here a te kāwanatanga e pā ana ki te Māori. I te tau 1891 ka takoto tana kōrero ki mua i te aroaro o te Kōmihana Ture Whenua Māori (te Kōmihana a Rees-Carroll), mō ngā hē i puta ki te Māori i ngā mahi a te kāwanatanga kī ana i te Pākehā. Ko tāna, me tuku mā te Māori anō e hanga ture māna, mā te Māori anō hoki ōna ake whenua e whakahaere. Nō muri ka kuhu ia ki te Kotahitanga e aru ana kia whakamanatia te Tiriti o Waitangi, kia whakakāhoretia ngā ture whenua Māori, kia riro mā te Māori anō āna whakahaere i raro i tētahi Pāremata Māori. Ka mate a Hēnare Tomoana i te tau 1904. We have 40 biographies, 4 articles, related to Hēnare Tomoana.